This is a recipe from another new cookbook (Yes, Craig has bought another cookbook!) Essentially Thai featuring recipes from the chefs of the Spirit House restaurant in the Noosa hinterland, Queensland.Despite the long list of ingredients there is nothing difficult about creating this dish (which Craig did while Jess vegged out on the couch!). Thai cooking has become one of our favourites cuisines because of the simplicity of many of the recipes and the fresh, zingy flavour of Thai ingredients – especially lime, chilli and coriander. * We found salted black beans in a local Chinese supermarket. They come in a packet, but are different to black turtle beans which need to be soaked overnight. 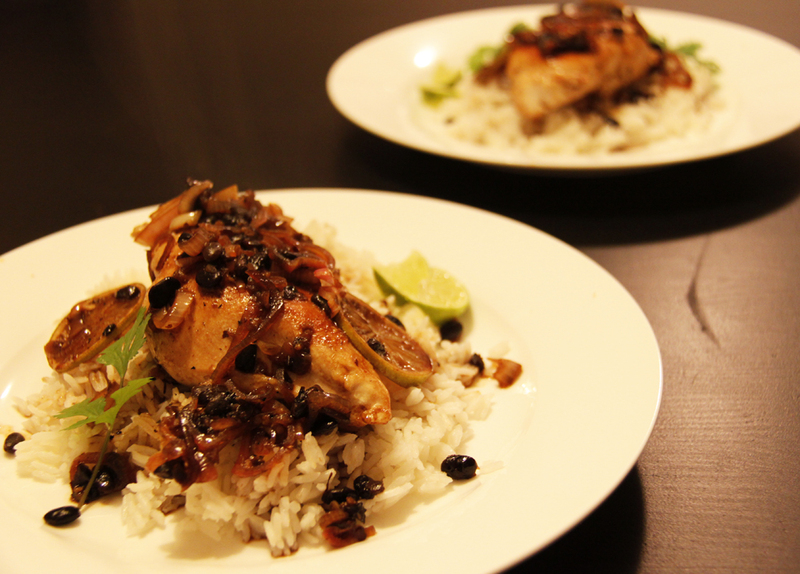 This entry was posted in Dinner, Food, Recipes and tagged Black Bean, Chicken, Coriander, Lime, Rice, Thai. Bookmark the permalink.